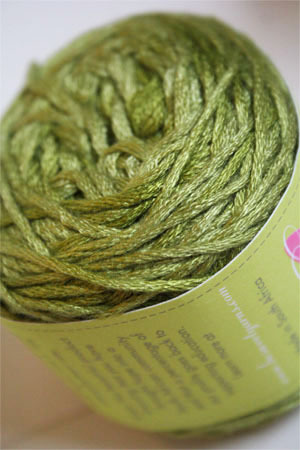 A gorgeous silky bamboo yarn in a field of dreams color. Wafting, waves of grass will make you think of spring when you knit with this! Discounts will apply at checkout! Out of stock? Need more? Special order it here!